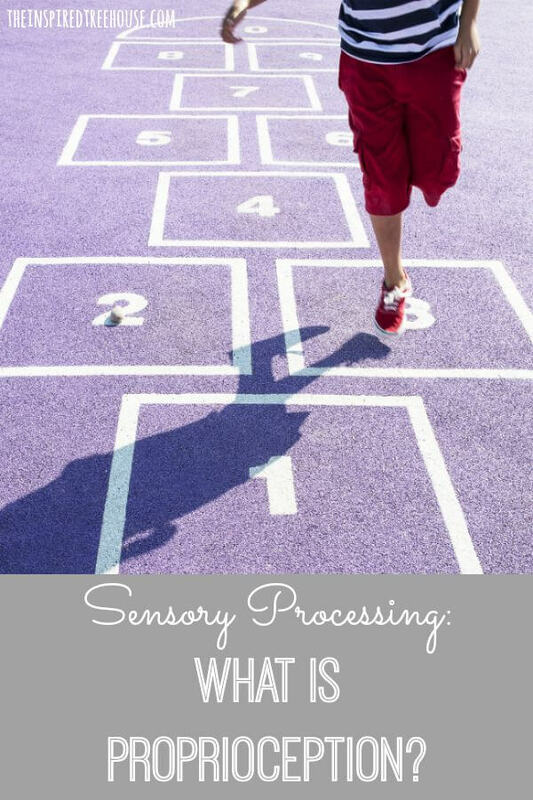 We’re excited to be back again with our friend Dayna from Lemon Lime Adventures, for the fourth post in our series about sensory processing. At The Inspired Treehouse, we write about sensory processing from our point of view as pediatric occupational therapists, using our training and experience to break information down into terms everyone can understand. Dayna, an early childhood educator and a homeschooling mom of 3, including a little guy with Sensory Processing Disorder, writes about sensory play and sensory activities for kids from a mom and teacher’s point of view. Today, we’ll talk about proprioception and how it’s related to child development. When children move and play, their muscles stretch and contract. Proprioception refers to the way joints and muscles send messages to the brain to help coordinate movement. This sense also allows us to grade the force and direction of our movements – our bodies instinctively know to apply more effort when lifting a heavy box and less effort when lifting a piece of paper. While the vestibular system tells the brain about balance and moving against gravity, the proprioceptive system helps us coordinate the movement of our arms and legs in an efficient manner to play and move without even having to look. A functioning proprioceptive system allows a child to write with a pencil without pushing so hard that he breaks the tip or take a drink from a Dixie cup without crushing it in his hand. A functioning proprioceptive system allows children to move, play, and explore in a smoothly coordinated and efficient way – not too gently, not too rough. Meet our friend Sam. At school, Sam has a reputation for being the “rough kid”. He pushes other kids in line, he writes and colors with heavy pressure, he plays aggressively with others on the playground. In gym class, Sam doesn’t kick the ball to his partner, he kicks it as hard as he can. Now, meet Julia. Julia falls out of her chair several times a day. Her writing and coloring is barely visible on paper. She is bumps into walls and other children when moving in the hallway and appears weak and clumsy. She has to look and really think about what she is doing even during the simplest motor tasks like putting on her shoes. 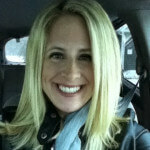 Julia sometimes appears tired or sluggish, slumping and leaning in her seat. The gym teacher knows Julia well, and spends extra time with her practicing skills. Even though these two children have very different appearances, in reality, they both need more proprioceptive input in their daily routine. Proprioceptive activities provide opportunities for heavy work (pushing, pulling, moving against resistance), waking up your muscles and therefore, your mind. Hit the playground! Kids get amazing proprioceptive input through freeplay on monkey bars, climbing equipment (climbing walls, ladders, ropes), ziplines, seesaws, and trapeze swings! Get involved in community classes and activities for kids such as: swimming (great for whole body movement against resistance), gymnastics, karate, and kids yoga. Jumping! Try a trampoline or jumprope. Play with tools and toys that provide resistance like stress balls, resistance bands, rubber bands, and hole punches. Don’t miss Dayna’s post on proprioception over at Lemon Lime Adventures and be sure to check out her great ideas for sensory play for kids! 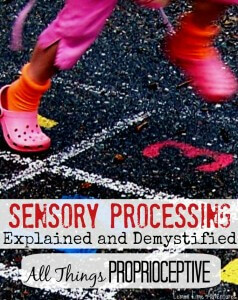 Looking for more helpful information about sensory processing and child development?